​Priors Hill Copse is located at the north of Butlocks Heath and the south of Old Netley, within Hound Parish (grid reference 468092) and can be accessed via The Grove in Butlocks Heath. Hound Parish Council owns 3.88 hectares of the Copse, the remainder being shared by private owners and the Castle Angling Club, which owns the section including the reservoir. 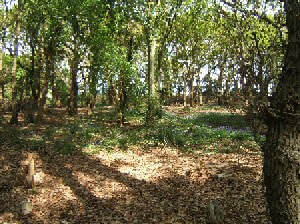 White Admiral and Holly Blue butterflies have been seen at the Copse and bats roost in the woodland. 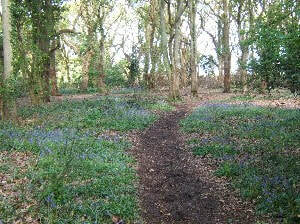 In the spring, bluebells grow in the less densely covered areas of the Copse. Bilberries and blackberries also grow, together with wood anemones and stitchwort.